In a break from my usual food adventures, on Friday the 13th some friends and I went to hear Danny Bowien speak this evening at the 92nd Street Y. He had some interesting things to say--about succeeding seemingly effortlessly, but then what happens after that, when it gets harder. I've only been to Mission Chinese once, but would love to go again. He opened by saying he had considered bringing Chinese food for the audience (it was a pretty intimate gathering--nowhere near the hordes who turned out for the Ottolenghi talk a few weeks prior). But instead he picked up Russ & Daughters bagels and cream cheese, and so as he talked he (along with some assistance) sliced, schmeared, and passed out bagels for everyone! I don't eat bagels much these days--the carb-to-pleasure ratio is off for my personal tastes. 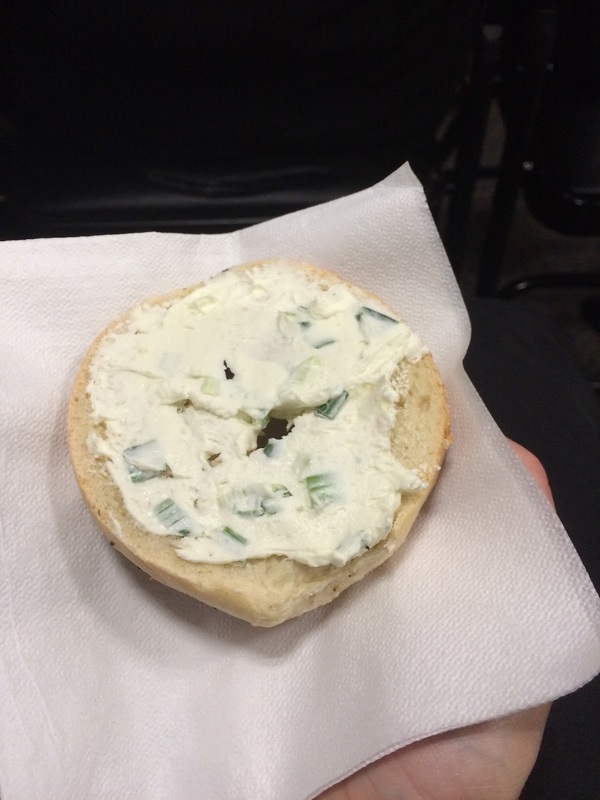 But when Danny Bowien lugs bagels to the Upper East Side and makes one for you, gosh darn it, you eat the bagel. Also the talk really was around dinner time and I was hungry.